Let’s face it – everyone is a little bit nosy or curious if you want to use the more socially acceptable term. We all like peering out of windows, people watching, seeing behind the scenes of a busy theatre of station….well Sussex is the place to let your nosiness, eh we mean curiosity get the better of you. One author who can help with your visit is Wendy Hughes who has written a book about it! All you can look at in a neat A to Z Guide! I found Sussex to be a fascinating county with plenty of little nooks and crannies to explore. Over the years there had been quite a few murders, some for greed and one because a lady was simply fed up with her lot! Sussex was also the home of the strange cult of Cocoa drinkers who tried out marriage before taking the plunge. I have always been inquisitive and interested in the quirky working on the premise that if it interests me, then it should interest other people. Whenever I find anything of interest to me, I make a note. 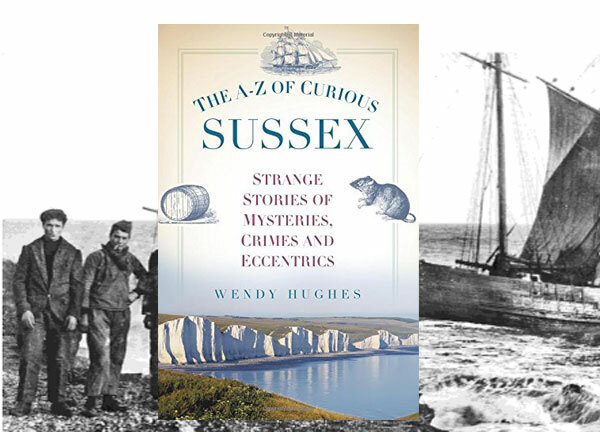 It was then the idea of a book of Curious Sussex developed. 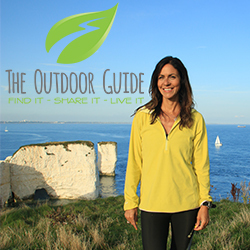 I visited all the locations in my book and it is best to plan your route dividing east and west Sussex into quarters and allowing plenty of time to explore each location. Sussex must be defined by its beautiful country walks, particularly those along the Southdowns. With so much coastline it lends itself to the infamous smuggling ruthless gangs that would stop at nothing, even murder. One tale that will go down in Sussex history is the great mail train robbery, but not the infamous robbery. This robbery took place in Forest Row as the coach carrying post, cash and passengers from Brighton to East Grinstead left the Chequers Posing Inn on 27 June 1801. John Beaston (70) and his adopted son William Walley Beaston (27) decided to set themselves up for life by robbing the coach and living comfortably from the proceeds. As the coach approached they stopped the horse and pointed the pistol at the post boy telling him they would not harm him if he kept quiet. The rogues then led the horse and coach into a field, ransacked it, and fled with £4,000 to £5,000, an enormous sum in those days. They were eventually caught in Liverpool and taken first to Bow Street in London then the county goal at Horsham where they were found guilt on 29 March 1802 and sentenced to be hanged at the spot where the crime was committed. Any particular dish or local food we should try? Sussex Smokie is one of my favourite traditional Sussex dishes. 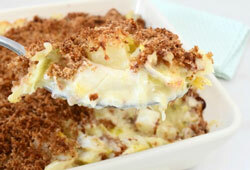 It is made from smoked white fish (haddock or cod), milk, butter, parsley and chives with a topping of cheese. While exploring Sussex you will find this dish as a starter or main course in most pubs and will set you up for the next leg of your journey around the county. 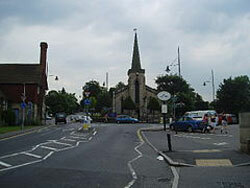 Another favourite of mine is Banoffi Pie whose birthplace in 1972 was the Hungry Monk, Jevington, now sadly closed. The interesting story of how the pie came into being can be found in A-Z of Curious Sussex. Thank you Wendy for a very curious tour indeed!